What can you expect for ROI from optimizing email for mobile devices ? 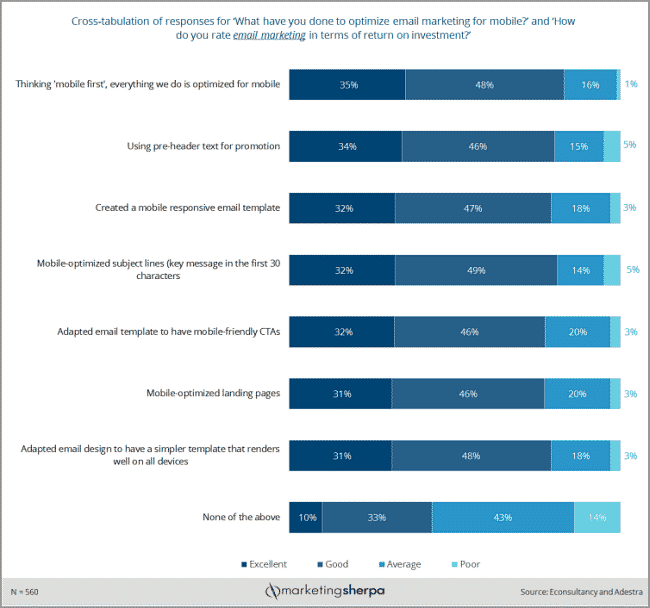 Below you’ll see a cross-tabulation of the 560 respondents who answered questions about optimizing email marketing for mobile, and email marketing ROI. The bottom line – anything you do to make your emails mobile optimized can be a very good thing. What are you waiting for?